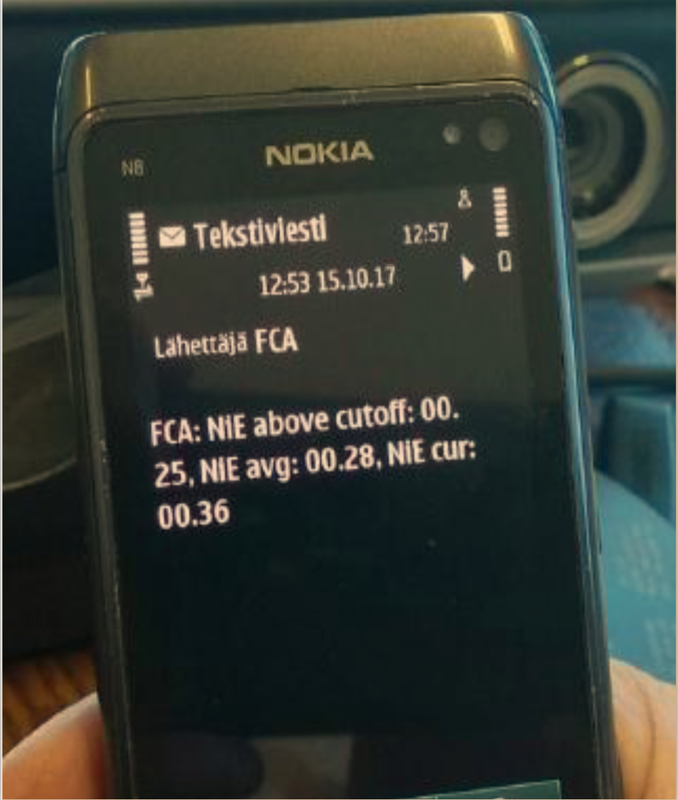 IMA new Fast Conveyor Analyzer (FCA) system software communicates with GSM/3G network to receive commands and to send text messages to mobile phones. By sending a simple command “0000 $INFO” to the unit specific FCA phone number will can get the latest analysis values from the FCA analyzer. In case of an Alarm situation, FCA system sends txt –message to selected Mobile phones. For instance the FCA system can be programmed to give an alarm in case of lower than cut-off grade ore appears on the primary crusher discharge conveyor. When the ore grade is back to normal, user will get an txt –message on it as well.